After the time finish and the unofficial arrival in Adelaide, the team had to overcome one more obstacle. The practicality score on Saturday would be added up in order to determine the overall winner. The team was being judged on several aspects like comfort, features, styling and aesthetics but also parallel parking and cargo space. 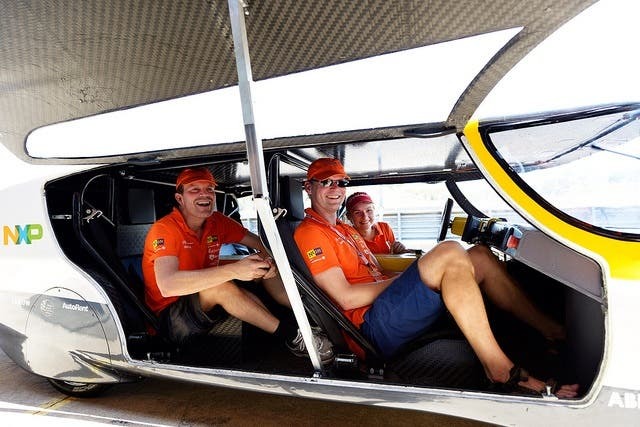 A combination of time, recharging from the mains, the number of passengers and the final jury verdict on Saturday decided that the students from TU/e really were the World Champions in solar-powered family cars. Find out more about Stella on the Solar Team Eindhoven website.